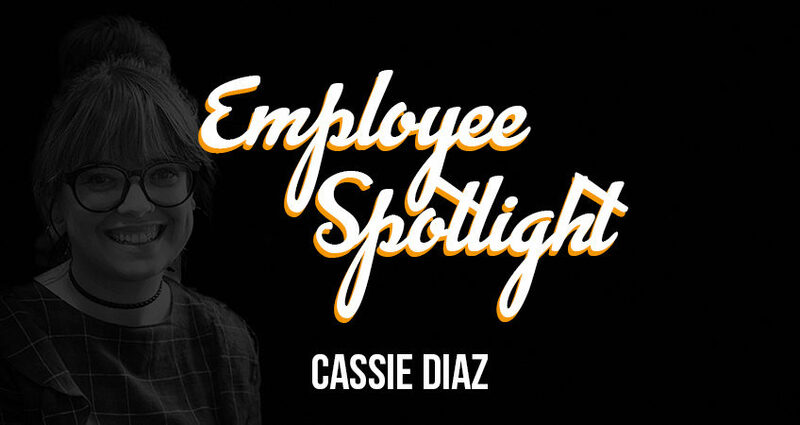 Employee Spotlight: Cassie Diaz - MOUNTAIN, LTD.
For the month of March, we are featuring Cassie Diaz. Cassie has been with MOUNTAIN for 4 years and has served as an Account Representative in New Gloucester, ME for one of our biggest clients. She supports employees, serves as IT when people are having trouble getting into systems, and has become an expert on one of our specialized billing systems. Cassie is an invaluable member of the MOUNTAIN team, so learn a little more about her! How long have you been working at MOUNTAIN, LTD. ? I have been with MOUNTAIN, LTD. for almost 4 years (it will be 4 years on March 2, 2019) – time flies! What positions have you had at MOUNTAIN? 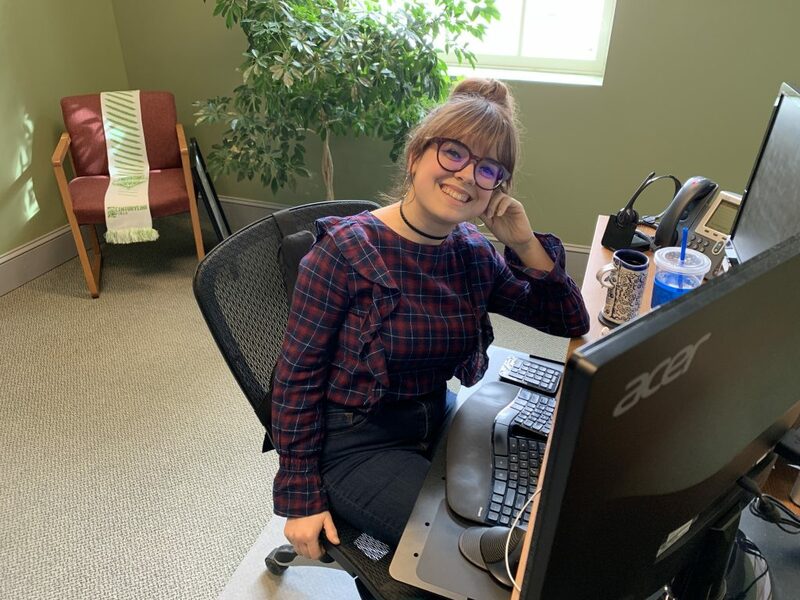 I’m in the same role I had since I started with MOUNTAIN; however, my responsibilities and day-to-day have changed drastically since I first started here. I am currently the Account Representative for our largest account supporting MOUNTAIN, LTD. and am responsible for everything from employee check-ins to proprietary systems setup to even billing assistance. What is your favorite thing about working for MOUNTAIN? No contest – it’s the people. We probably all sound like broken records at this point, but it’s true that the people at MTN are really what make the company stand out. I can’t imagine going through my days without my team having my back and I’m sure vice versa. Each of us really gives 110% the second we walk through the door and while that may seem like high expectations, I really wouldn’t have it any other way. What is one of your greatest professional highlights? I have definitely had my share of achievements and recognitions throughout my career at MTN, but I’m honestly all about the small victories. Whether it’s securing billing on an outstanding job or helping someone understand the idiosyncrasies of the systems requirements or even just helping out the new person in the office find their way to the kitchen (hint – it’s right across from my office!) – these are what ultimately stand out to me in my day-to-day. What are some opportunities that have come your way as a result of working at MOUNTAIN? One fairly recent opportunity was MOUNTAIN, LTD. enrolling me in a leadership seminar where I was able to learn and strengthen skills I can expand on throughout my professional career. While I feel like I learn so much in my day-to-day at MTN, it was really great to have the chance to grow personally and professionally in a classroom setting. This is one of the things I like most about working for MOUNTAIN, in that no two days really look alike. While the same basic goals apply, it really just depends on the types/volume of inquiries I receive on a daily basis. I can spend my days just entering billing invoices, or creating user guides, or helping to train others on systems and processes; it all depends on the day. No matter what though, it certainly is never a dull moment. The majority of my day was spent training our newest addition to the MTN team, following up on billing inquiries, and requesting various systems accesses for our field employees. What is something you’ve learned at MOUNTAIN that you never thought you would? Anything telecom-related certainly. If you told me prior to my time at MTN that I would be teaching others how to navigate the technical proprietary systems that our employees work through on a daily basis, I wouldn’t have believed you. But, MTN continues to push me and my expectations for myself and am grateful for the opportunities that I’ve had to learn and grow. Tell us a story about a MOUNTAIN experience. One of my favorite things that I look forward to all year round is Halloween and, more importantly, the MOUNTAIN, LTD. Spooktacular event. My first year at MTN, I remember us all running around our Pineland Farms campus getting strange looks from the other offices as we played games and completed scavenger hunts all while wearing costumes. It was then that I knew MTN was just different. I love to cook and, more simply, I just love food! Portland, ME has the most restaurants per capita in the country (it’s true!) so I love just exploring around the city as much as possible. Other than that, I spend as much time as I can with my boyfriend, Grant, mostly just enjoying movies, games, and music together. I am an avid social justice advocate. Whether it’s volunteering when I can, contacting my local and state representatives, or participating in marches and movements, I try to do whatever I can to ensure my voice is heard. Two of my favorite movies of all time (because who could just pick one?) are Leon: The Professional and Pan’s Labyrinth. My guilty pleasure though (that I have seen easily over 100 times) is definitely The Fifth Element. Thank you for all that you do, Cassie!